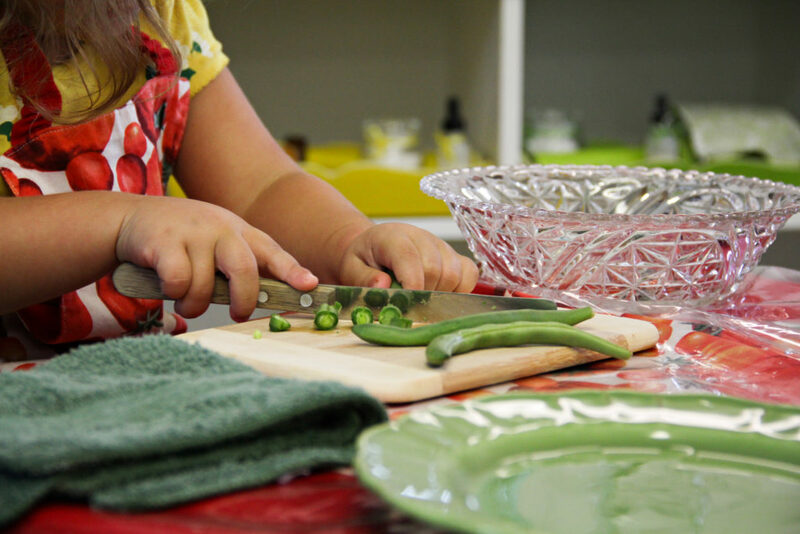 There are a plethora of ways that children build community in their environments at school. 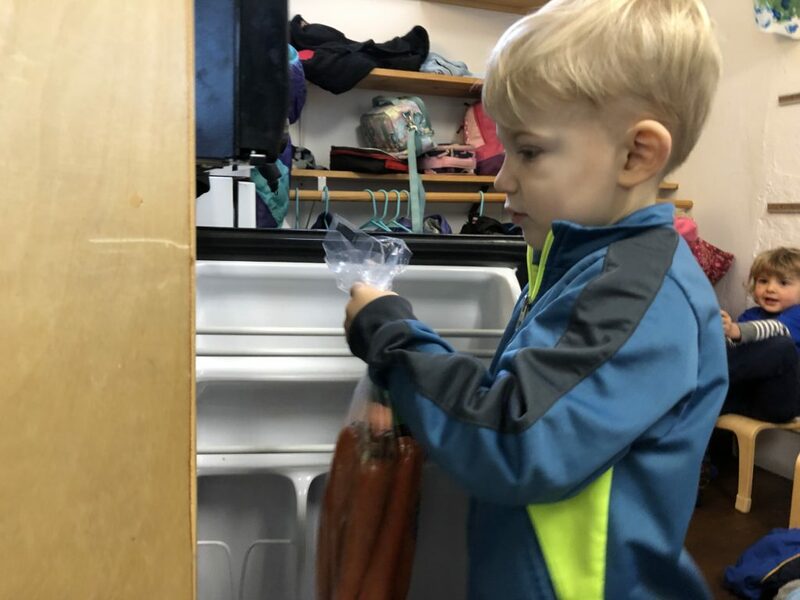 In the Children’s House, one way children participate in the life of the environment is by bringing in community gifts – items for snack, vegetable cutting or pet care that have been requested by their guide. Contributing to the greater community is an exercise in grace and courtesy. This simple act offers a chance to practice all sorts of social skills. It clearly shows children that they are part of a greater whole that they play a vital role in their community. 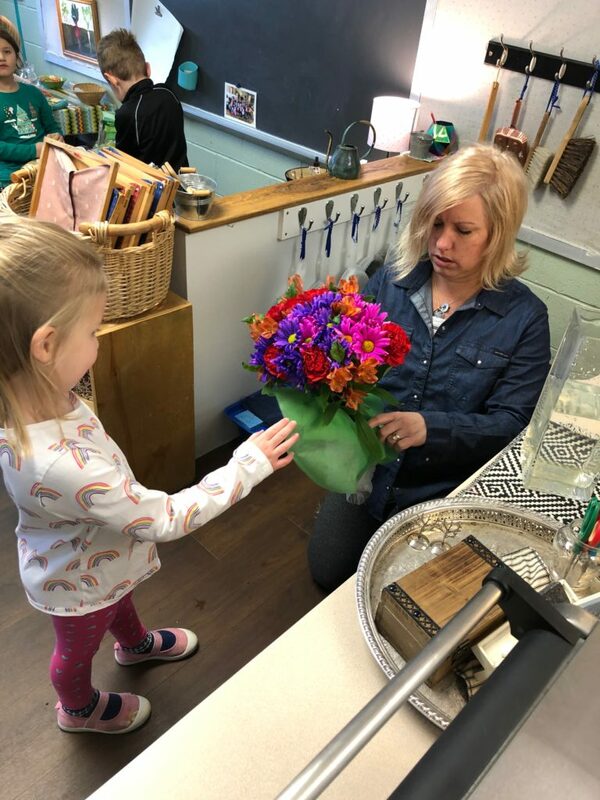 Community gifts allow us to choose what we can contribute to the classroom. 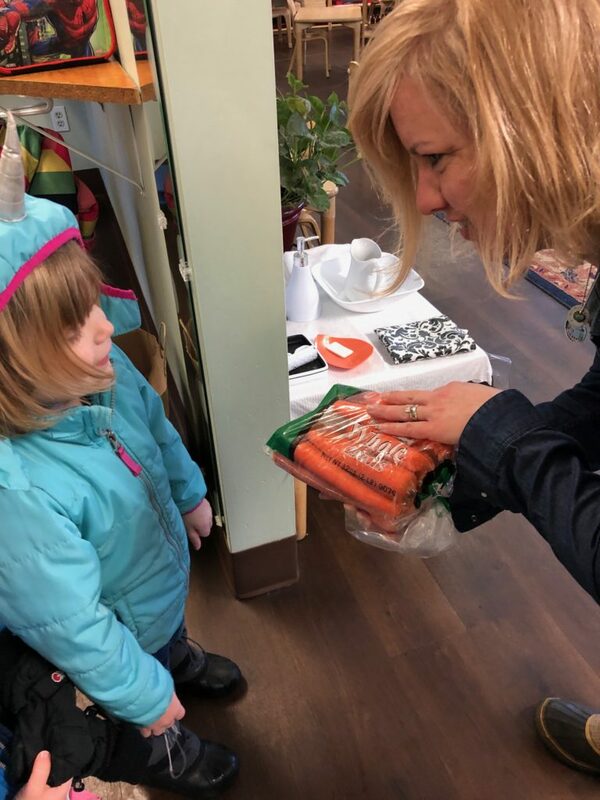 If we’re lucky, time allows us to shop for the items with our children. 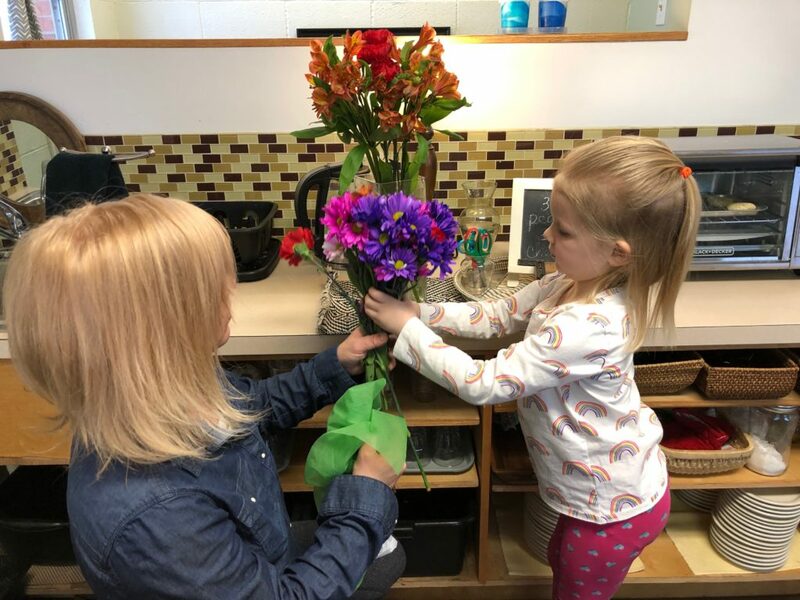 The children have the joy of bringing in the item and the double joy of seeing the item used. 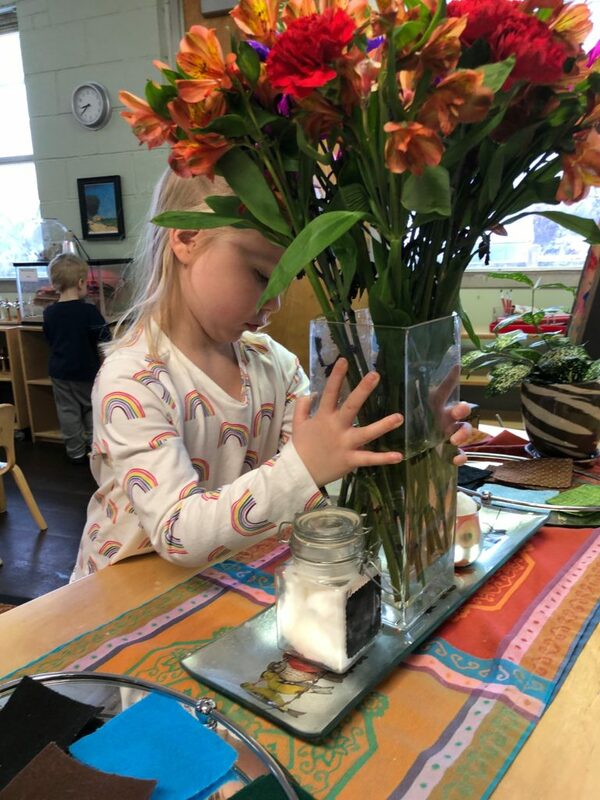 How lovely to watch a friend arrange the flowers you brought in! As a child the experience is important. 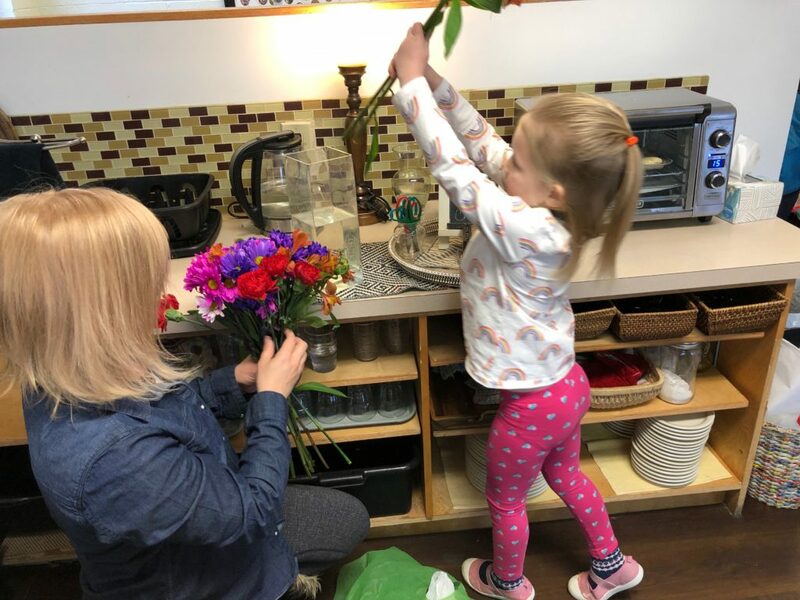 As a parent, community gifts are another link to our children’s prepared environment. 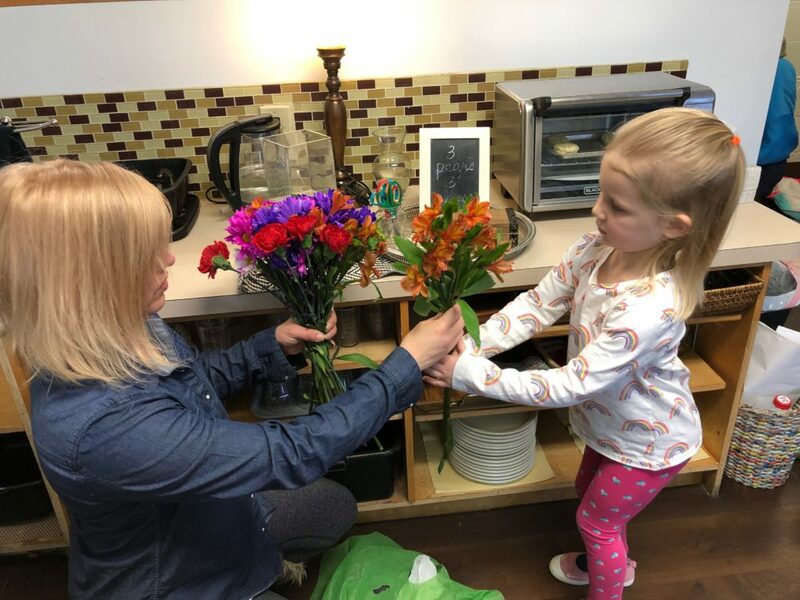 These pictures are a beautiful sequence of the experience the child has when they bring flowers in for flower arranging. As seen from the above pictures there are different rituals or routines with different items (and of course these will vary from environment to environment!). Finally, community gifts just make things run smoothly. 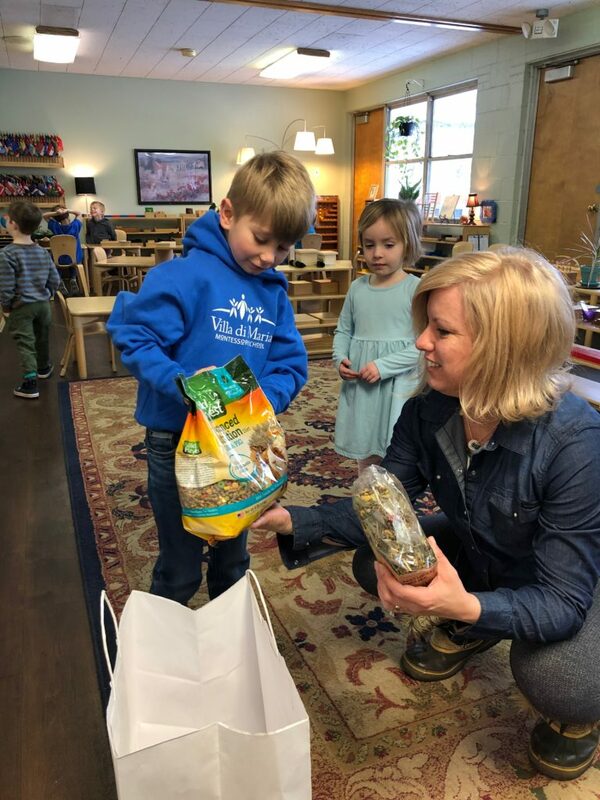 Of course, there are backups and contingency plans in place, but community gifts are one of those things that just make life in the classroom flow more effortlessly. And, who doesn’t want that for everyone at school? So the next time you get that link… sign on up. 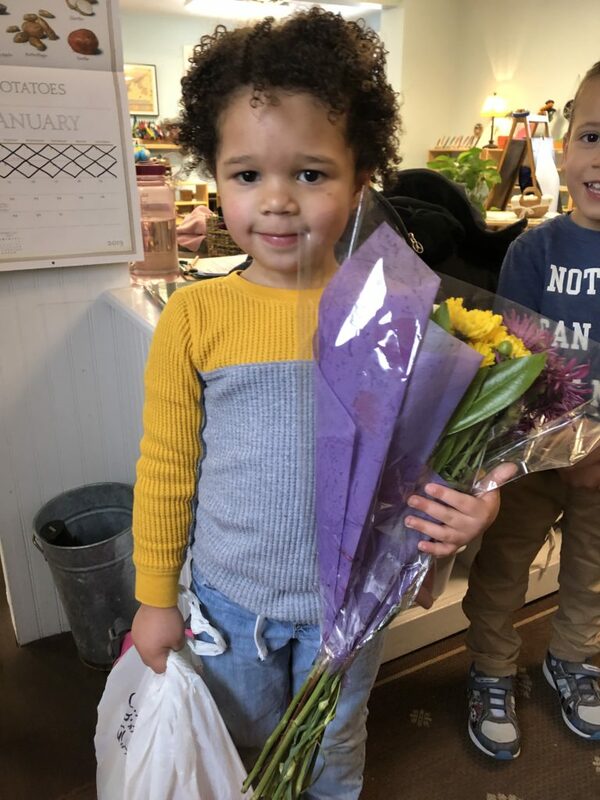 Please and thank you from all of us – your children included! Many thanks go to Melinda Smith, Jessie Braud and Jess Jente for the photographs. You made the post infinitely better with pictures. Thanks as well to Reghan McAuley for ideas, brainstorming and inspiration.